I was in Sardinia, Ohio (Brown County) and met with Peggy Warner, a descendant of "Gist Settlement" freed slaves. In 1819, a wealthy Virginian Samuel Gist's money was used to buy thousands of acres in Ohio, which were then divided among hundreds of his newly freed slaves. Mrs. Warner led us to a small cemetery on State Route 32. She called it, "the old Methodist Cemetery." Although she said the cemetery was full, there were only 6 or 7 visible markers. 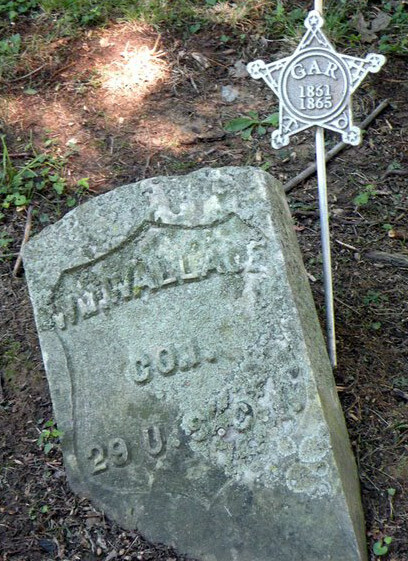 Here's one marked "Wm Wallace, Co. I, USCI." This one's actually laying on the ground. It's marked "Abner Ash." While his company was not readable, I was able to make out "5th USCINF." 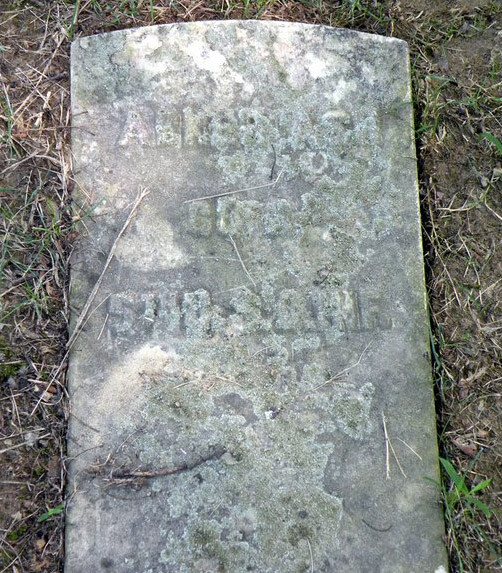 Interestingly, Peggy Warner (a retired school teacher who grew up in Brown County) knew some of the history of both the WALLACE and ASH families, dating back to 1819.